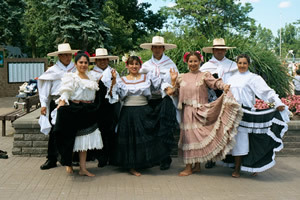 It is the representative dance of Peru, named "Marinera" by Abelardo Gamarra also known as "El Tunante" in honor to the feats during battle of Peruvian Admiral Miguel Grau. He battled a much larger fleet of battleships with his small fleet of vessels converted from transport ships during the 1879 war. 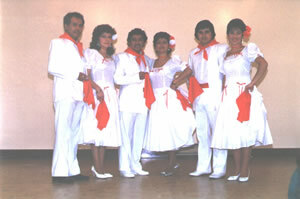 Since 1960 the "Club Libertad" is in charge to organize the National "Marinera" Competition in the city of Trujillo.